Work/life balance is one of the first things employees look for in a company — and it’s especially true for Denverites. Heading outdoors, volunteer opportunities and events are all important to Denverites, and local companies have heard them loud and clear. Many Denver-based companies offer great training programs, inclusive office cultures, paid time off to volunteer, happy hours, and other employee perks. A happy employee is a productive employee, and after all, what’s the point of living in a great city if you can’t enjoy it? To find the best companies for in Denver, we’ve reviewed Glassdoor’s Best Places to Work, the Denver Post’s Top Workplaces, Fortune’s 100 Best Companies to Work For feature, and Built in Colorado’s The Best Places to Work. Combined, these publications have evaluated thousands of employee survey responses, reviews, and benefits. Each list rates employee satisfaction, growth opportunities, office culture, work/life balance, charitable initiatives, leadership approval, employee benefits, office perks, salary, and more. If you’re looking for a great career alongside a great work/life balance and working environment, here are the best places to work in Denver. REI’s celebration of the outdoors also extends to its employees. Employee perks include paid time off to go outside and discount programs. They also provide no-cost access for supporting families with children who have developmental disorders. Baird prides itself on giving back to its employees. You can expect an inclusive office culture, paid time off to volunteer, and free financial advice. Burns & McDonnell employees are invested in the success of the company because they own a piece of it. The company also helps its employees’ career development through extensive training opportunities. Employees love Zoom’s office culture. The office culture focuses on growth, innovation, and empowerment. SendGrid employees enjoy free lunch daily and an annual meeting in Cabo. Beyond the perks, employees rave about the office culture and the CEO. SAP employees have the flexibility to work from home whenever. Even with this remote flexibility, employees say SAP has a collaborative culture where smart colleagues work together to solve problems. Salesforce employees across the world believe in the company and its mission. Employee benefits include an unlimited vacation policy and numerous volunteer opportunities. Power Home Remodeling employees say they get the training they need to succeed. 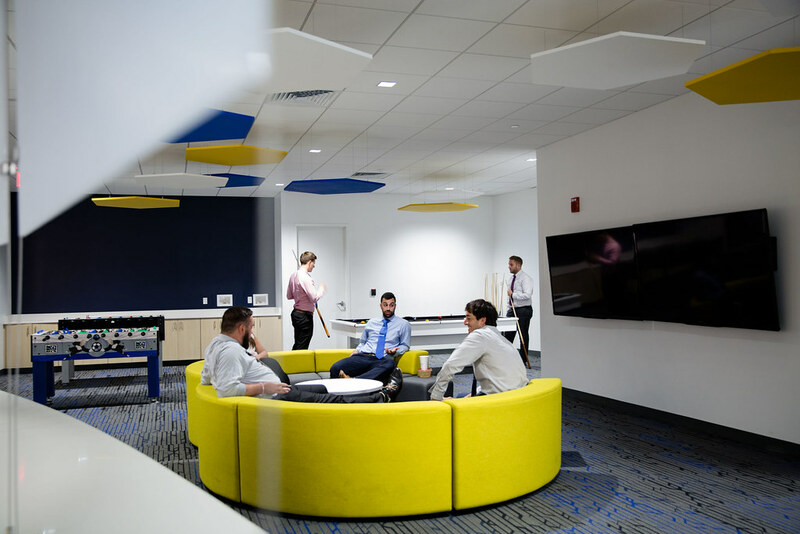 Employees also enjoy ping pong, shuffleboard, and video games in the office. Academy Mortgage employees say they work in a supportive environment with an emphasis on work/life balance. Despite being a national company, individual Academy Mortgage offices have plenty of autonomy and freedom to innovate. Fast Enterprises employees have their healthcare premiums 100% covered by the company. Other perks include an annual meeting in a unique location. After working with the company for four years, employees get a month’s worth of yearly vacation. Breckenridge employees get three paid days off to volunteer. Employees also feel empowered, noting management’s focus on recognition for quality work. Edward Jones employees can become limited partners in the company and take part in the company’s profit sharing program. Other benefits include bonus opportunities, flexible work schedule, and training opportunities. VMWare employees say they work with talented colleagues in a collaborative (and beautiful) environment. Employee benefits include training and growth opportunities in an innovative company. Leadership at Madison & Company Properties focus heavily on empowered their brokers. Brokers say new ideas are always supported and colleagues constantly collaborate to help the company grow. Employees enjoy Gusto’s fun, open office culture where going to work doesn’t feel like a chore. More perks include a roundtrip ticket to anywhere after an employee’s one-year anniversary — and plenty of snacks. PorchLight employees love the company’s inclusive culture. The company also has an in-house education program for career development and personal growth. Choozle employees enjoy company retreats, catered lunches, and a pet-friendly office. Other perks include volunteer programs and a yearly conference stipend. Xactly Corp employees can stay fit by enjoying the onsite gym and various healthy snacks. There are also happy hours, company outings, and a flexible work schedule. Ibotta employees enjoy unlimited vacation days and fully-covered healthcare premiums. Other benefits include paid time off for volunteer programs, happy hours, and equity. Xero employees enjoy free breakfast and lunch once a week and a well-stocked snack selection. Employee benefits include a relaxed office culture that includes a game room and Friday happy hours. This is just a small sampling of the incredible companies and startups in Denver. The city’s a growing tech hub that embraces inclusivity and a quality work/life balance. Just ask ouralumni.